New Season to Focus on Locations Throughout Asia and to Air on JOURNY and Ovation TV in the US. NATPE, Miami: JOURNY, the streaming service from Ovation featuring distinctive cultural travel content, is in development on its first original co-production. 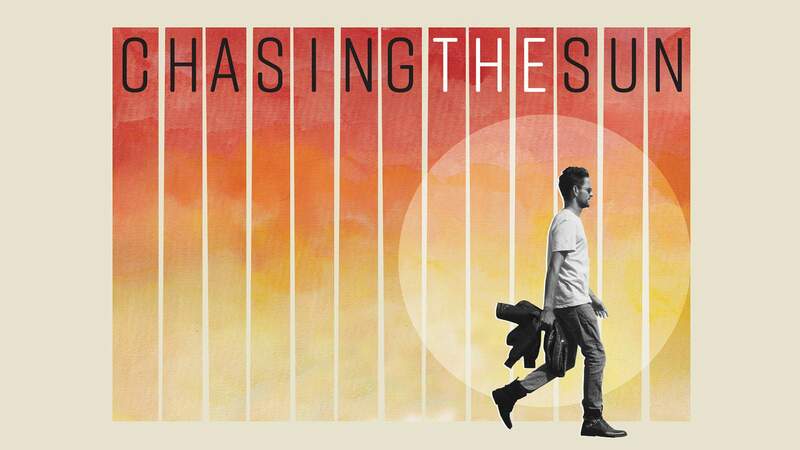 The AVOD channel is partnering with Save Your Day Films and executive producer Stephen Friedman to produce a second season of the popular series Chasing the Sun. The announcement was made today by Scott Woodward, EVP, Programming and Production, Ovation. Chasing the Sun follows adventure-seeker, and film maker, Stephen Friedman (host and creator of successful Fox Networks TV travel show The Blueprint) as he captures the story of the places he visits through the people of each destination. As the Locals tell their story, Stephen uses each experience to rediscover why we are all born to explore. In the new season co-produced with JOURNY, Stephen will travel throughout Asia, including stops in Malaysia, Vietnam, Indonesia, South Korea, Hong Kong, Japan, India, and Sri Lanka. JOURNY also features several arts and travel-themed original series from Ovation, including upcoming episodes of Travel Man, The Pacific: In the Wake of Captain Cook With Sam Neill, Illusions of Grandeur, and Flintoff’s Great British Road Trip. Art has the power to inspire us, elevate our thinking, and awaken our senses. As an independent television, production and digital media company, OVATION has an unparalleled commitment to the arts, culture and captivating entertainment. Showcasing a lineup of critically-acclaimed premium dramas, arts-related specials and documentaries, and iconic films, OVATION salutes innovative storytelling, lives for the art in entertainment, finds beauty in the everyday, and applauds art in unexpected places. OVATION is available to nearly 50M subscribers via cable, satellite and telco systems including Comcast Cable/Xfinity, DIRECTV/AT&T U-verse, SPECTRUM, Verizon FiOS, as well as on VOD. Through THE OVATION FOUNDATION, the company is committed to advocating for the arts, nationally and locally, and has provided more than $15M in contributions and in kind support to arts institutions and arts education. You can follow OVATION on Facebook, Twitter, YouTube, Pinterest, OvationTV.com, and through our App, OVATION NOW. JOURNY is the only travel-entertainment app at the intersection of travel, art, and culture! Watch award-winning television series and popular shorts focused on immersive experiences and unique storytelling for FREE! Powered by Ovation and designed for the conscientious traveler, our pr-gramming centers world travel, cultural tourism, and global citizenry. Utilizing a network of talent-ed and passionate travel filmmakers, producers and creators, JOURNY brings together the voices and stories that make us connected and human. Journy is available on Fire TV, Apple TV and iOS devices, Android, Roku, XUMO, Vewd, and Plex. Save Your Day Films is an award-winning production company headquartered in London. For the past decade, it has worked with international TV networks such as Fox, Nat Geo, Travel Channel, Discovery, NBC, MTV, BBC and Amazon. The company also has strong relationships with industry-leading international distribution companies, such as Electus, Endemol Shine Group, E one Enter-tainment, Sky Vision, and Blue Ant Media. The company has been fortunate to collaborate with a number of award-winning writers and directors, producing many successful documentaries, TV shows and scripted series with over 26 titles under SYDFilms in production over the next several years.